Solutions for resource managers, planners and developers. 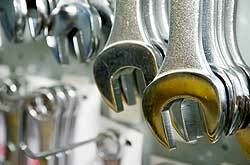 We offer the most comprehensive vehicle care in Marlborough. Our strength is our ability to offer you a total vehicle package, servicing all makes and models of passenger and recreation vehicles. We have vehicle sales that encompass the entire range from small passenger through to heavy trucks. We are the region’s representatives for Holden, Subaru and Suzuki with access to an international network of dealers to ensure we can source the vehicle of your choice. Quality used cars and commercials. Rentals and workshop in Blenheim, Marlborough New Zealand. AA appraised and speedo guaranteed. Finance available. One of the key reasons for the success of Mayfield Motors has been the quality of our staff and their commitment to providing quality customer service and motoring solutions to meet the needs of our diverse customers. Diving Services NZ ltd provides a full range of underwater services in the marlbrough sounds. 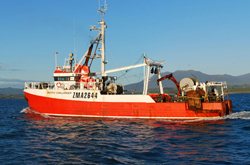 Services include marine farm servicing for both fish and shelfish, research and Bio security . construction services. Moorings and vessel maintenance. Contact Lyndon Cabinet Makers for all your high quality geometric handrails, curved staircases, fine furniture, bespoke joinery and heritage restoration work. 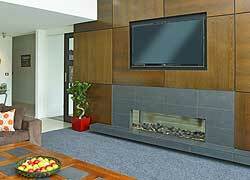 Based in Picton, Marlborough New Zealand. Waikawa Fishing Company is a sustainable Maori seafood company based in Picton, the main port of New Zealand's beautiful Marlborough Sounds. Boats from the company's three-vessel fleet are available for charter. This includes service and supply (for activities such as oil and gas seismic survey and drilling), marine research, vessel recovery. New Hondas and Mazdas, quality pre-owned cars, commercials and recreational vehicles, full parts and servicing. One stop auto restoration shop. Spare parts, accessories, everything in rubber, sponge or trim. Provider of cellular phones for hire. Rent a mobile phone or a local SIM card for short term. Whether you are tourist, on business or just visiting friends, stay connected while traveling in New Zealand. The DeLuxe Group is responsible for a number of companies which specialise in the importation of motor vehicles for re-sale and for the Development of numerous properties throughout the Marlborough region. The name DeLuxe has been around in Marlborough for well over 80 years. It was probably best known as a small family business in the 1920s, operating regular town suburban services and plying the route between Blenheim and Picton. Blenheim Engineering Supplies is your number one stockist of all your engineering, manufacturing and DIY needs. Vinings have the largest selection of Yachts, Launches and Marina Berths for Sale at the Waikawa Marina, Waikawa, Picton. Centrally located with plenty of off-street parking, The Vet Centre Marlborough is designed to offer the highest standards of comfort, care and treatment. 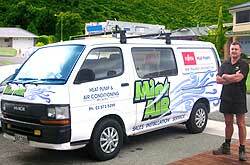 Russell's paint and Panel are panel beaters and car painters in Blenheim, Marlborough new zealand. We specialise in collision repair and vehicle restoration. CRB Transport is Marlborough's only 100% owned and operated specialist log carrier and has been providing service to the top of the south loggers since 2001. With a large modern fleet of trucks including a self-loader truck, CRB Transport can give quality support to any logging operation. With more than 25 years of bridal design behind her, Bernadette is considered one of the top wedding dress designers in the country, creating unique gorgeous gowns for brides from all over New Zealand and the world. Take a leisurely cycle ride through Marlborough's picturesque vineyards and country roads and visit some of the region's wineries where you can try our world renowned Sauvignon Blanc.